Happy discovery today, thanks to Fr. 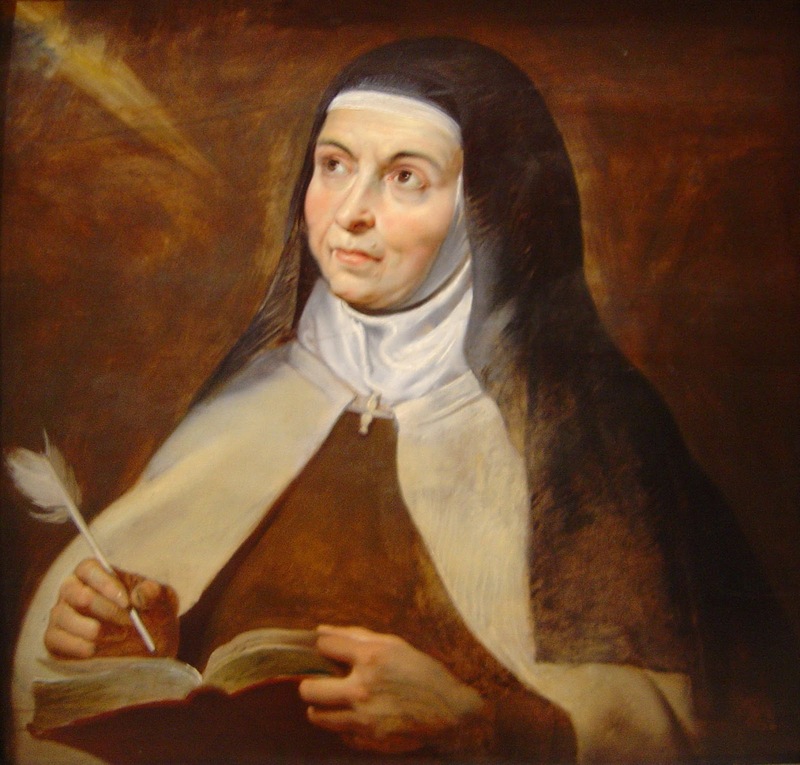 Antonio de Castro, of the full text of La Gran Madre's famous poem "Nada Te Turbe" which she wrote on her breviary. Although nothing can beat its simple profundity in Spanish, here is an attempt at an English translation for the benefit of our appreciation, in the absence of a translation online. For now, a translation in Filipino will need to wait for some other day. for what disturbs you is nothing. Do you see the glitter of the world? All of these is empty glitter. None of these will last. the ones that will endure. What they promise is rich and true. which is lacking in patience. and you shall lack nothing.